When guests choose where to dine, cleanliness is an important factor in their decision. People notice very quickly whether a restaurant’s sanitation needs attention, and in the foodservice industry, you should have the highest standards when it comes to the cleanliness of your restaurant. Let’s take a look at a few restaurant cleaning tips to keep your dining area and commercial kitchen as clean as possible. How Can I Keep My Restaurant Looking its Best? 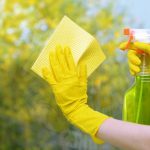 First, make a list of all the areas and restaurant kitchen equipment that need attention and decide if some of those areas should be deep cleaned daily or every other day. Think about the best time of day to clean those spots and divide the tasks between your front of house staff and kitchen staff. It’s a good idea to post the checklist in a place where all team members can see and understand what their duties are and when they should be completed. Bacteria can gather on bare tabletops, even if a wet towel is used to wipe them down. Use cloth linens for your tablecloths to avoid this problem. The pretty linens will feel elegant for your guests, as well. Cloth napkins are considered more upscale than paper, and you can use a reliable laundry service to handle the cleaning and delivery of fresh new linens on a weekly basis. All restaurants must undergo a health inspection, and food safety is the most important thing to your guests. As a restaurant owner, it’s worth it to invest in high-quality cleaning products and tools to kill germs and bacteria. 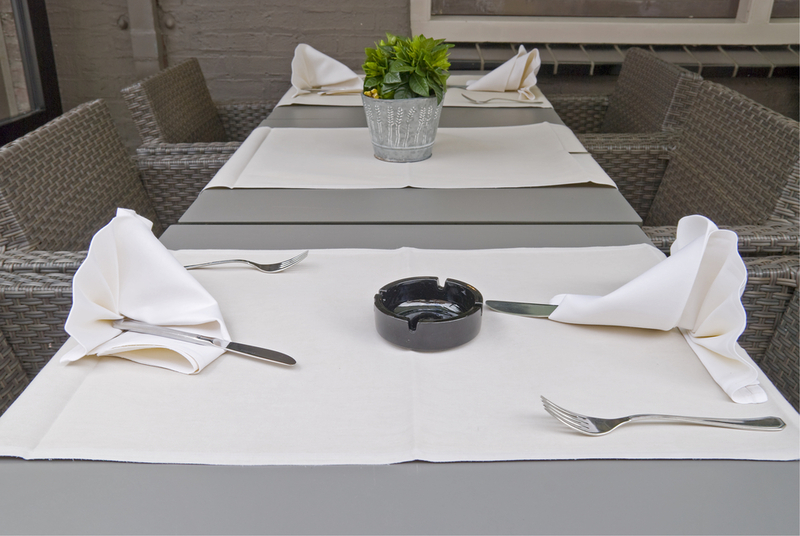 Wilkins Linens and Dust Control not only provide linen laundry services— they also provide restaurants with products such as wet mops, microfiber towels, safety products and more for your convenience. ProTip: Keep dirt and dust out of your restaurant by investing in outdoor scraper mats for guests to wipe their shoes before entering to dine. Encourage your team to sweep and wipe down chairs if they have downtime during their shift. If you notice business is slow between lunch and dinner, wipe down menus with disinfectant wipes. Your staff should always be looking for opportunities to get cleaning tasks done so they don’t have to complete them when their shift ends and they’re ready to go home. Dust can accumulate very quickly in corners, on windowsills, and countertops. Remember to add “dusting” to your restaurant cleaning checklist and make note that it should be done daily. If you have wood material as part of your decor, use a microfiber cloth and wood polish for extra shine. 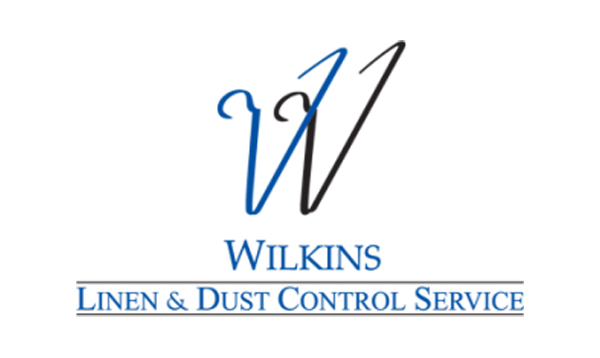 Contact Wilkins Linen and Dust Control Service for your cloth linens, towels, mops and more. You can expect professional customer service with a team that wants to help your restaurant succeed! Family owned by David and Connie Friday, Wilkins Linen and Dust Control Service has been a full service linen company in the Houston area since 1952.